There ya go…ya got it. Until we got hell bent on multiculturalism American Culture was pretty easy to define. Football, Baseball, Hotrods, R&R, Country Music, Beer, Pizza, Rodeo, and NASCAR. Pizza? Not bad. No Pappa John’s, it’s horrible. Football? Sure, but it also didn’t originate in “America” The only sport that originated in the US is Basketball. Games are too damn long. You have the attention span of a gnat and don’t understand the game then. Do I need to go back to the “Who is just as American” thread? Shut up and both of you get out of my healthcare. That’s between me, my doctor, and Obama. As a matter of interest how does one flag a post that one considers inappropriate? We have test matches (cricket) that can last up to 5 days (6 hours playing time per day) and finish in an exciting draw which is not the same as a tie. I’m in IT so I have a few Indian colleagues who are massive Cricket fans and I always give them ■■■■ because the games are insanely long. They used to play timeless tests which means they kept playing day after day until a team won. I think it was one of those tests between South Africa and England in South Africa the game had to be abandoned after 9 days because the England team needed to get a boat home. If you want to impress your Indian colleagues that you think Sachin Tendulkar is the second best batsmen behind Donald Bradman and maybe throw in the stats that Bradman’s test average of 99.94 from 6996 runs show that he was better than Tendulkar. I’m gonna try it, hopefully gain some street creds from my Indian colleagues. “The soft bigotry of low expectations”. Erdogan is showing what basically amounts to a snuff film at political rallies trying to drum up support for Islamists in Turkey = nothing to see here. 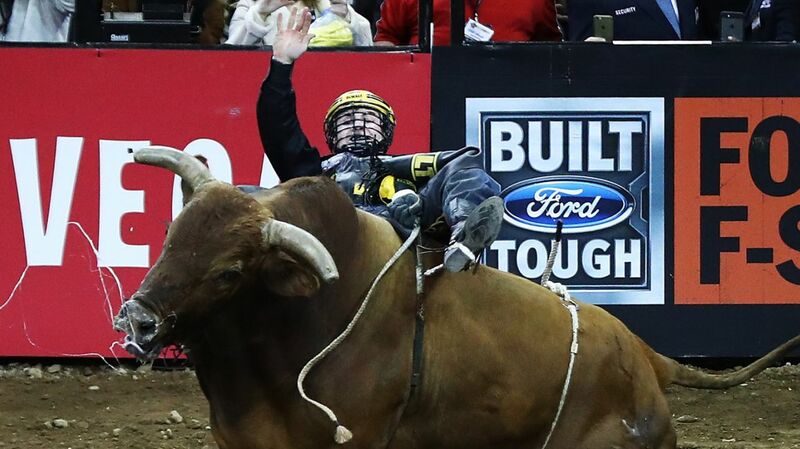 PBR returns to Madison Square Garden for its annual season opener, and they spend more than $21,000 in tolls moving bulls from New Jersey to New York each day. Wrong. As shown. PBR doesn’t spend $21k in tolls alone for a “segment”.